a. Flotation thickener designed by UIIVKh: 1. Water-air mixture inflow; 2. Sludge inflow; 3. Perforated pipes; 4. Distribution device; 5. Clarified water discharge; 6. Thickener evacuation; 7. Rake; 8. Peripheral channel. b. Flotation thickener: 1. Inflow of sludge-air mixture; 2. Rotation perforated distributor; 3. Peripheral partition; 4. Cylindrical partitions; 5. Sludge rake; 6. Sludge collecting channel; 7. Circular spillway; 8. Conical partitions; 9. Rake device; 10. Discharge of floating sludge and evacuation of thickener. 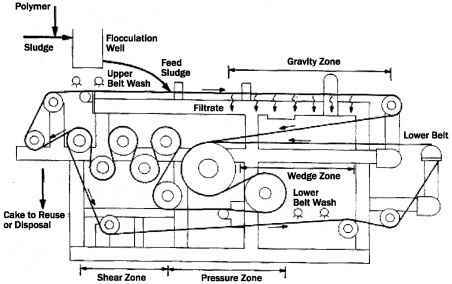 Figure 3.12 Circular flotation thickeners. cal equipment. However, shipping problems limit a completely assembled steel circular unit to about 9 m2 (100 ft2) or less. Although sufficient data are available from operating units in more than 40 years to size DAF systems, bench- and pilot-scale testing can provide valuable information. Most manufacturers of DAF systems have designed and built bench-scale units for evaluations. These manufacturers have scale-up criteria for their equipment to predict full-scale operational parameters. Consideration should also be given to renting a pilot unit available from most manufacturers to test and evaluate the effect of such parameters as solids and hydraulic loadings, recycle ratio, air-to-solids ratio, and polymer type and dosage. If sludge is not available for testing, a detailed review must be made of experience at installations where a similar type of sludge is being thickened by DAF thickeners. Type and Characteristics of Feed Sludge A variety of sludges can be thickened effectively by flotation. These include conventional WAS, extended aeration sludge, pure-oxygen activated sludge, and aerobically digested sludge. The first step in designing a DAF system is to evaluate the characteristic of the feed sludge. Information is needed about the range of solids concentration that can be expected. If WAS is to be thickened, the mixed liquor sludge volume index (SVI) must be determined because SVI can significantly affect the DAF thickening performance. The SVI should be less than 200 if a float concentration of 4% is required with nominal polymer dosage. Solids Loading Rate The solids loading rate is expressed as the weight of solids per hour per unit effective floatation area. Typical solids loading rate are given in Table 3.8. The loading rates shown will normally result in a minimum of 4% concentration in the float. As can be seen from the table, the solids loading rate can generally be increased up to 100% with polymer addition. Hydraulic Loading Rate The hydraulic loading rate is expressed as combined flow rates of feed sludge and recycle per unit effective floatation area (m3/m2-d or gpm/ft2). When like units are canceled, it becomes a velocity gradient to the average downward velocity of water as it flows through the floatation tank. The maximum hydraulic loading rate must always be less than the minimum rise rate of the sludge-air particles to ensure that all the particles will reach the surface before they reach the effluent end of the tank. Suggested hydraulic loading rates range from 30 to 120 m3/m2-d (0.5 to 2 gpm/ft2). Source: Adapted from U.S. EPA, 1979. Air-to-Solids Ratio The air-to-solids ratio is perhaps the single most important factor affecting DAF performance. It is defined as the weight ratio of air to the solids in the feed stream. The ratio for a particular application is a function of the characteristics of the sludge, principally the SVI, the air-dissolving efficiency of the pressurization system, and distribution of the air-solids mixture into the floatation tank. For domestic wastewater sludge, reported values of air-to-solids ratios range from 0.01 to 0.4, with most systems operating at a value under 0.06. Polymer Addition Chemical conditioning with polymer has a marked effect on DAF thickener performance. The particles in a given sludge may not be amenable to the floatation process because their small size will not allow proper air bubble attachment. The surface properties of the particles may also have to be altered before effective floatation can occur. Sludge particles can be surrounded by electrically charged layers that disperse the particles in the liquid phase. Polymers can neutralize the charge, causing the particles to coagulate so that the air bubbles can attach to them for effective floatation. Bench- or pilot-scale testing is the most effective method to determine the optimal amount of polymer required and the point of addition (in the feed stream or the recycle stream) for a particular installation. Typical polymer dosages range from 2 to 5 g polymer per kilogram of dry solids (4 to 10 lb/ton). In the lower ranges of solids and hydraulic loading rates, polymer addition typically is not necessary. Polymer conditioning usually affects solids capture to a greater extent than float solids concentration. With polymer addition, float solids can be increased by about 0.5%; however, the solids capture efficiency can be increased from about 90% to better than 95%. Design Example 3.3 Design a DAF thickener to thicken sludge with a maximum of 2500 lb (1134 kg) per day of WAS solids. The solids concentration of the sludge is 0.6%. The thickening operation will take place 7 hours per day, 5 days per week. A float solids concentration of 4% and a capture efficiency of 90% are expected. Note: The solids in recycle flow are neglected. This rate is well below the minimum acceptable rate of 0.5 gpm/ft2. Therefore, the DAF system might be able to handle a higher solids loading rate, or fewer hours of operation, provided that downstream processing requirements are not affected adversely. 4. Float tank size: Provide two units. Use two circular DAF tanks 26 ft (8 m) in diameter each, or two rectangular tanks 34 ft long x 16 ft wide (10 m x 5 m) each. Note: Factory-built DAF tanks are usually about 10 ft wide. Therefore, four tanks of 25 ft long x 10 ft wide will also be appropriate. Centrifugal thickening is the acceleration of sedimentation through the use of centrifugal force. In a gravity thickener, solids settle by gravity. In a centrifuge, force 500 to 3000 times of gravity is applied; therefore, a centrifuge acts as a highly effective gravity thickener. 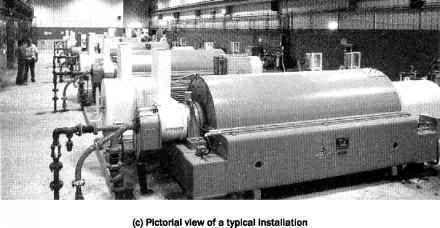 Centrifuges are commonly used for thickening WAS. Primary sludge is seldom thickened by centrifuges because it commonly contains abrasive material that is detrimental to a centrifuge. In addition to being very effective for thickening WAS, centrifuges have the additional advantages of less space requirement and the least odor potential and housekeeping requirements because of the contained process. However, capital cost and maintenance and power costs can be substantial. Therefore, the process is usually limited to large treatment plants. There are basically three types of centrifuges: disk nozzle, imperforate basket, and solid bowl. Figure 3.13 shows schematics of all three types of centrifuges. 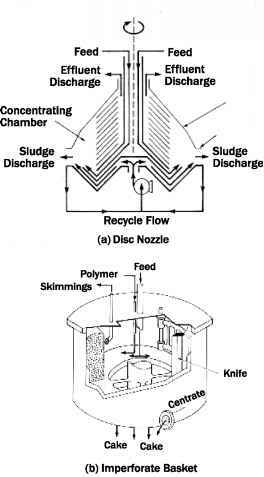 Disk nozzle centrifuges require extensive prescreening and degritting of feed sludge. They can be used on sludges with particle sizes of 400 |im or less. Imperforate basket centrifuges can be used for batch operation only and not continuous feed and discharge. They suffer from high bearing wear and require significant maintenance. For these reasons, disk nozzles and imperforate basket centrifuges are being replaced by solid bowl centrifuges. the configuration of the conveyor (scroll) toward the liquid discharge end of the machine, and the location and configuration of the solids discharge port. Sludge feed enters the bowl through a concentric tube at one end of the centrifuge. The liquid depth in the centrifuge is determined by the discharge weir elevation relative to the bowl wall. The weir is typically adjustable. As the sludge particles are exposed to the gravitational field, they start to settle out on the inner surface of the rotating bowl. The lighter liquid (centrate) pools above the sludge layer and flows toward the centrate outlet ports located at the larger end of the machine. 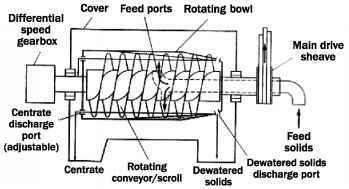 The settled sludge particles on the inner surface of the bowl are transported by the rotating conveyor (scroll) toward the opposite end (conical section) of the bowl. The main difference between a thickening and a dewatering centrifuge is in the construction of the conveyor and the conical part of the bowl. The slope of the conical part is less in a thickening centrifuge. Increasing the speed of bowl (rotor) rotation allows an increase in the factor of separation. However, the high bowl rotation speed can decrease the sludge particle sizes, increase the polymer demand, and decrease the effectiveness of flocculation. Therefore, centrifuges typically operate at speeds between 1500 and 2500 rpm, with the factor of separation between 600 and 1600. At the lower values of factor of separation, thickened sludge concentration and solids recovery values are lower. The design features of centrifuges differ substantially among centrifuge manufacturers. Therefore, interrelationships of these variables will be different in each location, and specific design recommendations are not available. The most common approaches for estimating centrifugal thickening performance include bench-scale testing by centrifuge manufacturers and field pilot tests. Table 3.9 presents the performance of thickening centrifuges in various places in the world. Table 3.10 indicates performance at selected locations in North America. Solid bowl centrifuges are quite versatile in their application. Major applications have been for thickening air or oxygen waste activated sludge. Aerobi-cally and anaerobically digested sludge have also been thickened successfully by centrifuges. Particle size and particle distribution within the feed sludge have a significant effect on thickening performance. Naturally, well-flocculated solids in sludge often do not have sufficient strength to stay together under the high shearing forces encountered within a centrifuge. Therefore, polymer flocculation may be necessary to formulate tougher floc aggregate. Polymer use can improve solids capture efficiency typically to a range of 90 to more than 95%. 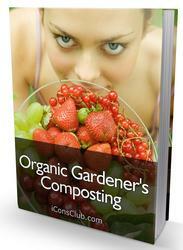 • Provide effective wastewater degritting and screening, or grinding. In case where wastewater screening or grinding is inadequate, sludge should be ground before feeding the centrifuge to avoid plugging. • Use an adjustable-rate feed pumping with positive flow rate control from a feed source that is relatively uniform in consistency; a mixed storage or blend tank is appropriate. to an open-throat progressing cavity pump, or direct discharge to a screw conveyor. • Discharge centrate to either primary or secondary treatment process; centrate handling may require a foam suppression system. • Consider structural aspects such as static and dynamic loadings from the centrifuge, vibration isolation, and provision of an overhead hoist for equipment maintenance. • Provide water for centrifuge flushing when equipment shutdown occurs. • Consider the need for a heated water supply to flush grease buildup periodically. • Provide proper centrifuge venting and consider the need for odor control. • Consider struvite formation potential in anaerobic digesters when thickening anaerobically digested sludge. Gravity belt thickening utilizes the principle of solid-liquid separation by coagulation and flocculation of solids and drainage of free water from the slurry through a moving fabric-mesh belt. It is dependent on conditioning of the sludge, typically with a cationic polymer to neutralize the negative charge of the biological solids. (b) Schematic cross section of a thickener Figure 3.14 Gravity belt thickening. The gravity belt thickener (GBT), introduced in 1980, is a modification of the upper gravity drainage section of the belt filter press. Figure 3.14 is a schematic of a GBT. Polymer is added and mixed with the feed sludge, normally with a polymer injection ring and variable orifice mixer installed in series in the inlet line, before it enters a flocculation tank. For heavy floc formation, polymer addition is essential to successful thickening. The amount of polymer used depends on the type of sludge to be thickened and the solids characteristics. The amount of mixing energy applied to the slurry to mix the polymer thoroughly also affects the formation of the floc. From the flocculation tank, the conditioned slurry is distributed evenly across the width of the belt. Here the solids and the water begin to be physi cally separated. The solids-water mixture sits on the moving belt, allowing the water to drain through it. The water is collected in drain pans and routed to a sump. 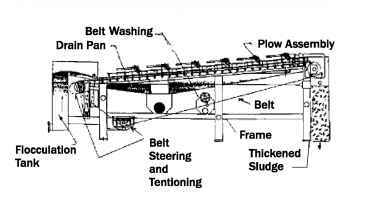 As the slurry moves on the belt, it is turned over by plough blades placed on top of the belt. The plough blades greatly increase the gravity thickening process by clearing places for the water to drain and by turning the solids mass on the porous belt to release additional water. The slurry is stopped from running off the sides of the belt by restrainers and rubber seals. An adjustable ramp located at the discharge end of the thickener provides an increase in residence time plus a shearing action to the solid material enhancing the thickening. The thickened sludge is removed from the belt by a scraper blade. The belt moves past the scraper to a washbox, where the belt is washed to remove the solids that have been forced into the porous of the weave. The GBT can be used to thicken sludge of initial concentration as low as 0.4%. Solids capture efficiency of greater than 95% can be achieved, and as high as 99% has been reported. Other advantages of GBT include relatively moderate capital cost and relatively low power consumption. However, gravity belt thickening is polymer dependent. Polymer addition of 1.5 to 6 g/kg (3 to 12 lb/ton) on a dry weight basis is required. Other disadvantages include odor potential and the requirement of moderate operator attention to optimize polymer feed and belt speeds. A building is commonly required for the GBT to protect the thickening operation from inclement weather. Source: Adapted from WEF, 1998.
presents design criteria and performance for various types of municipal wastewater sludge. Typical hydraulic loading rates are 380 to 900 L/min (100 to 250 gpm) per meter of effective belt width. GBTs for sludge thickening are available in 0.5-, 1.0-, 1.5-, 2.0-, and 3.0-m effective belt widths. Testing is recommended to verify that the sludge can be thickened at typical polymer dosages. A rotary drum thickener (RDT), similar to a gravity belt thickener, achieves solid-liquid separation by coagulation and flocculation of solids and drainage of free water through a rotating porous media. The porous media can be a drum with wedge wires, perforations, stainless steel fabric, polyester fabric, or a combination of stainless steel and polyester fabric. Thickening is dependent on conditioning of the sludge, typically with a cationic polymer. The thickener consists of an internally fed rotary drum with an integral internal screw, which transports the thickened sludge out of the drum. The drum rotates on trunnion wheels and is driven by a variable-speed drive. The polymer-conditioned sludge enters through an inlet pipe, where it is fed to the inside of the drum. The free water passes through the drum perforations into a collection trough, leaving the thickened sludge inside the drum. A spray bar extends the entire length of the drum to clean the drum to prevent blinding of the perforations. A cover, usually stainless steel, is provided for housekeeping and odor containment. 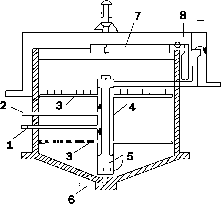 Figure 3.15 shows a rotary drum thickener. The RDT can be used to thicken sludge of initial concentration as low as 0.5%, with high solids capture efficiency. Advantages of RDT include fewer space requirements and relatively low capital cost and power consumption. In addition to being polymer dependent, it is sensitive to polymer type because of the shear potential of flocs in the rotating drum. Although there is odor potential, the unit is regularly enclosed to control odors. A building is commonly required for the RDT. RDT can be used for thickening waste activated sludge, anaerobically and aerobically digested sludge, and some industrial sludge. It is typically used in small to medium-sized wastewater treatment plants. Units are available up to 1420 L/min (400 gpm) capacity. Table 3.12 presents typical performance data for rotary drum thickeners. feasible for sludge from an attached growth biological process such as trickling filter sludge. Figure 3.16 is a schematic of combined thickening. Clarifiers for combined thickening are often designed with steeper floor slope (as high as 2.75 : 12, which is standard for gravity thickeners) to reduce the sludge blanket depth over the sludge withdrawal point. However, a thicker sludge blanket means a longer retention time, which can cause septic conditions and gasification from biological action. Figure 3.16 Schematic of combined thickening. impacts when supplied with either unstabilized or aerobically digested sludge. Advantages of facultative sludge lagoons include long-term storage of sludge, continuation of anaerobic sludge stabilization, low capital cost when land is readily available, low energy consumption, no chemical conditioning required, and the least operator attention and skill required. However, they are more land-intensive than other mechanical methods, may create odor problems, and produce a supernatant that contain 300 to 600 mg/L of TKN, mostly ammonia, which is a by-product of anaerobic autodigestion. Facultative sludge lagoons are designed to maintain an aerobic surface layer free of scum or membrane-type film buildup. Surface mixers provide agitation and mixing of the surface layer. The surface layer is usually 0.3 to 0.9 m (1 to 3 ft) in depth and supports a dense population of algae. Dissolved oxygen is supplied to this layer by algal photosynthesis, by direct surface transfer from the atmosphere, and by the surface mixers. To maintain the aerobic top layer, organic loading rate to the lagoon must be at or below 1.0 ton of volatile solids per hectare per day (20 lb per 1000 ft2 per day). The oxygen is used by the bacteria in the aerobic degradation of colloidal and soluble organic matter in the digested sludge liquor, while the solids settle to the bottom of the lagoon and continue their anaerobic decomposition. Supernatant from the lagoon is returned periodically to the treatment plant's liquid process stream. Decanting of supernatant allows initial sludge feed concentration of about 2% solids to thicken to a concentration of more than 6%. A part of the water is removed as a result of evaporation. Emerging Technologies Many new technologies and equipment for sludge thickening being developed in Europe, Japan, and Russia include improved gravity thickeners, flotation thickeners, and belt thickeners. New materials for thickening, such as water-absorbing porous materials, stretched and elastic capillary materials, and nonwoven fibrous fabric materials, are being experimented with. Figure 3.17 is an experimental model of a capillary thickener with a water-absorbing porous material. Thickening of sludge occurs from water being absorbed by the capillary action of the porous material by the successive compression and decompression of the porous material. Thickened sludge formed on the surface of the material is removed by a scraper. 1 - Inlet, 2 - Screw conveyor, 3 - Porous media 4 - Heating zone, 5 - Final compression zone, 6 - Filter cloth, 7 - Perforated sieve, 8 - Locking cone, 9 - Thickened sludge discharge, 10 - Drive. 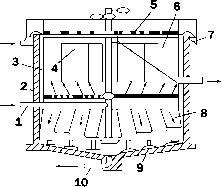 Figure 3.18 Screw porofilter thickener. and a locking cone to control back pressure. With this thickener, activated sludge with solids concentration of 0.4 to 0.8 has been thickened to 7 to 10% solids concentration. Dewatering is the physical operation of reducing the moisture content of sludge and biosolids to achieve a volume reduction greater than that achieved by thickening. Dewatering, because of the substantial volume reduction, decreases the capital and operating costs of subsequent handling of solids. Dewatering sludge and biosolids from a solids concentration of 4 to 20% reduces the volume to one-fifth and results in a nonfluid material. The dewatering processes that are commonly used include mechanical processes such as centrifuges, belt filter presses, and pressure filter presses; and natural processes such as drying beds and drying lagoons. The main variables in any dewatering process are solids concentration and flow rate of the feed stream, chemical demand and solids concentration of dewatered sludge cake, and sidestream. The selection of particular process is determined by the type and volume of sludge to be dewatered, characteristics such as dryness required of the dewatered product, and space available. Table 3.13 presents a comparison of the most commonly used dewatering processes. Dewatering of municipal sludge by centrifugation has been widely used in both the United States and Europe. Similar to its application in thickening, it is the process in which a centrifugal force of 500 to 3000 times the force of gravity is applied to sludge to accelerate the separation of the solids and the liquid. Two basic categories of centrifuges are used for municipal wastewater sludge dewatering: imperforate basket and solid bowl. 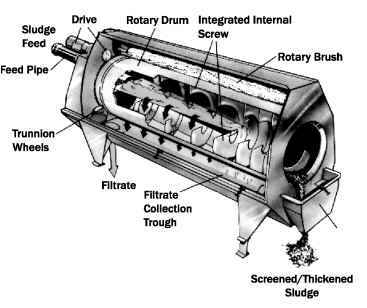 A third type, the disk nozzle centrifuge, has been used for thickening sludge but has seldom been used for dewatering. Because of the improved design and efficiency of the solid bowl centrifuges in the past few years, imperforate basket centrifuges have fallen out of favor in the municipal market and are being replaced by solid bowl machines. The main components of a solid bowl centrifuge (also known as continuous decanter scroll or helical screw conveyor centrifuge) are the base, cover, rotating bowl, rotating conveyor scroll, feed pipe, gear unit, backdrive, and main drive (see Figure 3.11). The base provides a solid foundation to support the centrifuge. Vibration isolators below the base reduce the transmission of vibration from the centrifuge to its foundation. The cover that encloses the rotating bowl assembly completely serves as a safety guard. It also helps contain odors and dampens the noise. The rotating bowl of the centrifuge consists of a cylindrical-conical design; the proportion of the cylindrical to conical shape varies depending on the manufacturer and the type of centrifuge. The conveyor scroll fits inside the bowl with a small clearance between its outer edge and the inner surface of the bowl. The conveyor rotates, but at a slightly lower or faster speed than the bowl. This difference in speed between the bowl and the conveyor scroll allows the solids to be conveyed from the zone of the stationary feed pipe where the sludge enters the bowl, to the dewatering beach, where the sludge cake is discharged. The dilute stream called centrate is discharged at the opposite end of the cake discharge port. The differential speed is controlled by the gear unit and the backdrive. Depending on the type of sludge, cake solids concentration varies from about 15 to 36%. Centrifuges are available with capacities as low as 40 L/min (10 gpm) to more than 3000 L/min (800 gpm). Solid bowl centrifuges are available in both countercurrent and concurrent bowl designs (see Figure 3.19). In the countercurrent design, the sludge feed enters through the small-diameter end of the bowl, and the dewatered sludge cake is conveyed toward the same end. In the concurrent flow design, the sludge feed enters through the large-diameter end of the bowl, and the sludge cake is conveyed toward the opposite end. Because of improvements in the design of the solid bowl centrifuges, cake solids concentrations in excess of 40% have been reported. These machines, known as high-solids (also called high-torque) centrifuges or centripresses, have a slightly longer bowl length, a reduced differential speed, higher torque, and a modified conveyor that presses the solids within the beach end of the centrifuge. These centrifuges may require higher polymer dosages to achieve higher cake solids concentrations. Design features of centrifuges substantially differ among centrifuge manufacturers. Therefore, the interrelationship of these variables will be different for each machine. The reliability of a centrifuge as a dewatering unit can only be evaluated by testing using a trailer-mounted test unit. From these test data, full-scale requirements of hydraulic and solids-loading capacities can be developed. Typical performance data for solid bowl centrifuges for different types of sludge are shown in Table 3.14. Although many physical conditioning methods have been used for centrifugal dewatering, the most effective method has been polymer conditioning. Cationic polymers seem to be most effective for wastewater sludge. If aluminum and ferric salts are present, anionic polymers give a better result. Sludge can be dewatered using solid bowl centrifuges without the use of chemicals; however, it results in poor TSS capture. (PRI + WAS) Source: Adapted in part from U.S. EPA, 1979. Performance of a centrifuge is measured by the dewatered cake solids concentration and the TSS recovery (solids capture). The recovery is reported as the dewatered caked dry solids as a percentage of the feed dry solids. See equation (3.6) described for solids recovery for centrifugal thickening.